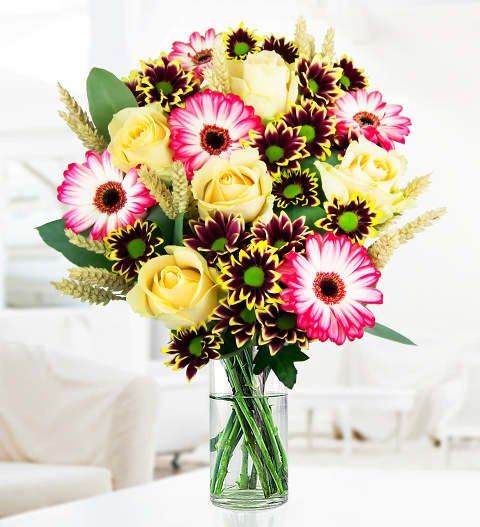 The Country Garden bouquet is quite simply a perfect arrangement to send your best wishes. Whether you are sending flowers for a special birthday, to show a loved one how much you care or just to brighten someone's day, we are sure this stunning arrangement will do just the trick. This harmonious balance of colour is achieved using only the finest peach avalanche roses hand tied with macy germinis, chrysanthemums accented with dashes of wheat stems and eucalyptus.